This will be a performance you don’t want to miss… Four amazing soloists including: Lisa T., Stephanie H., Michael S., and Anna Y.! Following the performances we will have a reception for all families and friends attending the concert and it’s a nice time to celebrate the accomplishments of the night and year! Please click to sign-up to bring some yummy snacks. If you have questions, please contact Yvonne Lim. This Friday, both the 7/8 Band and the 7/8 Orchestra will perform at each of the three elementary sites. Call time for all 7/8 students will be 7:15am to load instruments and load the bus. We will need parent helpers to ride the bus with the students. If you are available and willing, please let Mr. Myers know. They will perform at PCR and then PCY. At approximately 11:30am the students will have a pizza lunch in Memorial Park. We would appreciate donations of fruit (cuties, apples, etc. ), paper plates, napkins, and cookies. We will also need several parents to help serve the lunch in the park. Please contact Sandy Miller if you are available to help or willing to donate. After lunch, the students will load the bus and travel to LCE to perform. After the last performance, the students will return to LCHS, unload the bus, and be dismissed for the day. If you have questions, please contact Mr. Myers. Each year we host a Festival for our students as well as students from the surrounding area. At Festival, each group performs selected pieces and sight reading for several judges. The judges give them comments and a rating. It’s a great learning and performance experience for the students and their directors. This year we will have 14 area schools coming to our campus to perform at Festival. The MPA will host a snack stand for the students to purchase snacks and drinks. We need several helpers to get us set up on Friday morning, 7:30am-9am. Please consider helping… Many hands make for light work. Please let Cecilia Cheng know if you would like to help. Please consider helping in one way or another… The snack stand benefits the Instrumental Music Program, and the visiting school really enjoy the snacks (really, really enjoy the snacks!). If you have questions, please contact Cecilia Cheng. If you would like to donate items to be sold at the snack stand, we are looking for the following items. Please bring your donated items to the band room Wednesday evening, March 13th, at the Concert. If everyone brings just one item, we’ll have plenty of stuff to sell. Please consider donating. Please remember that everything has to be individually wrapped so we are able to sell at the snack stand. Here is the link to sign up to volunteer on Saturday. See you there! Many thanks for sharing your time! Tickets are still available… But they’re almost gone! Don’t hesitate, purchase now. Tickets will NOT be sold at the door. The auction is open now, and new items are added on a regular basis! Bid… Share with your family and friends… Bid again! There is still time to Volunteer for part of the evening. There are lots of open slots to choose from. Dinner Show Raffle Tickets are now available for sale. Please Note: These tickets are for the Dinner Show and are separate from the Booster Raffle Tickets. Students are asked to help sell the tickets… All proceeds going towards the Dinner Show and the Instrumental Music Program. Tickets are $5 each, or 5 tickets for $20. Student Leadership will be setting up various selling locations in the community, so have your student sign up to help. 1st: DJI Spark Drone Package – Professional compact drone with batteries, chargers, SD card, travel backpack, carrying case AND VR goggles! If you have some extra baskets that you can donate, please contact Sheryl Madonna. We will be wrapping the baskets on Thursday, February 7th. Students will be served dinner prior to their performances separate from the ticketed guests. The cost of each meal is $20. Student Leadership will be collecting these funds. Please have your student bring cash or a check made payable to “LCHS MPA”. This is a fundraiser for the Instrumental Music Program. All students are asked to donate. Now is the time to become a sponsor and purchase your tickets (and be ready to bed on some silent auction items). Tickets will sell out, so please order now! Please read on for more information… It’s a night you don’t want to miss! All the Instrumental Music Groups will perform. Please join us for music, fun, food, and friendship! If you and your family are interested in becoming sponsors for the evening or if you know of a business that would be willing to become a sponsor, please complete the Sponsorship Form or go online. We have various levels of sponsorship and are accepting your donations now. All sponsorships include tickets to the show as well as raffle tickets. We thank you in advance for your donations! The Silent Auction becomes available on Tuesday, January 29th! Anyone can bid… Please feel free to share the link with your friends and family. Deadline for submitting Senior Tributes is January 28th. We need helpers throughout the evening to make this the best Dinner Show ever! Please find a time to volunteer that works for you. Dinner Show Raffle Tickets will be available for sale starting Monday, January 28th. Please Note: These tickets are for the Dinner Show and are separate from the Booster Raffle Tickets. We’re excited for the season to begin! We have quite a few competitions this year, as well as a trip to Dayton for WGI Championships… Can’t wait! This year the cost for the program will be $600 per student. This amount includes costs for competitions, instructors, uniform, new floor, food for lunches and snacks, and transportation to and from the competitions. Checks should be made payable to “LCHS MPA” and placed in an envelope with your student’s name and group, and deposited in the black box in the band room. As always, if you have financial concerns and questions, please let Mr. Stone know. If you are interested in helping out this season, we we will need bus riders, truck drivers, food planning/prep/serving… Please contact our Color Guard parent rep, Michele Jones. As discussed at the parent meeting, we are in the process of putting all the pieces together for our trip to Dayton. We will be flying from LAX to IND (Indianapolis) on Tuesday, April 2nd and returning on Sunday, April 7th. Prelims will be on Wednesday, April 3rd; semi-finals (if qualified) on Thursday, April 4th; and finals (if qualified) on Friday, April 5th. We will watch the World Class finals on Saturday evening. We have the airline tickets, the hotel reservations, the rental vans, and will soon have the World Class finals tickets. The cost for the trip will be $1,300 per person. It will be an amazing experience for your student! Payment plans can be arranged but please let Mr. Stone know what your plan will be. 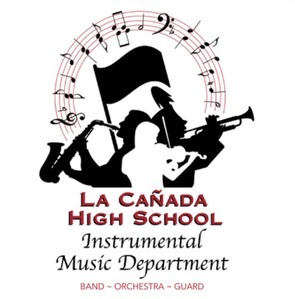 Checks can be made payable to “LCHS MPA” and be placed in an envelope marked with your student’s name and group and deposited in the black box in the Band Room. We will need a final count of parents and students NO LATER than February 1st! Please let Sandy know if you are planning on joining the group. We will need several parents to chaperone and drive the rental vans. Please let Sandy know if you are interested and willing to chaperone/drive and she will get you the necessary District paperwork to complete.